Caitlyn mentioned a few posts ago about the gleeful wonder we experience each year when reminded that gardening actually works! There’s something remarkable when seeds, sun, and soil miraculously add delightful things to our dinner table. It’s a childlike joy I hope we never grow out of. In the same way, I have become obsessively fond of the miracle involved in composting. I have yet to become tired of watching my coffee grounds and cucumber peels (and lots of other stuff) magically transform themselves into dark, rich, organic compost. 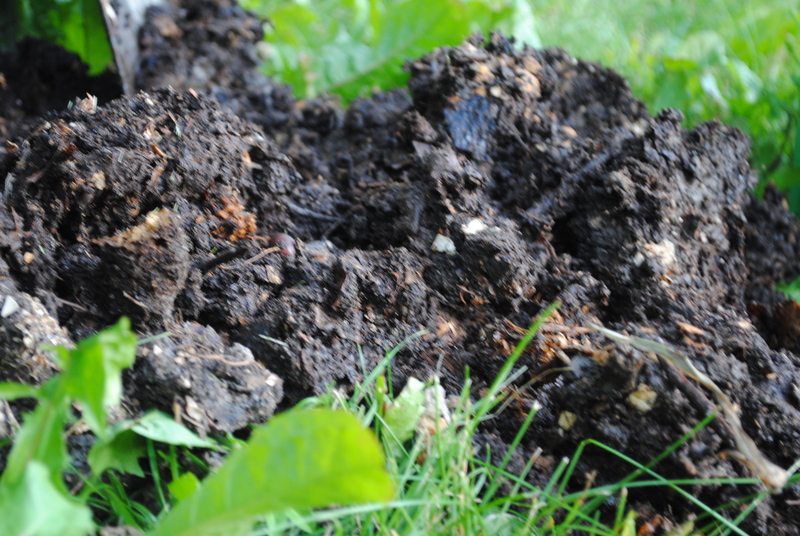 If the idea of compost is lost on you then before you read any further, check out this older post I did for our friend over at ittybittyimpact a few years ago. First, when we transplanted our peppers and tomatoes into the garden, I carried a bucketful of compost from the bottom of my bin (this is where the darkest, most decomposed matter can be found) and mixed several handfuls of compost to the subsoil around the roots of the plant as I set them in the garden. 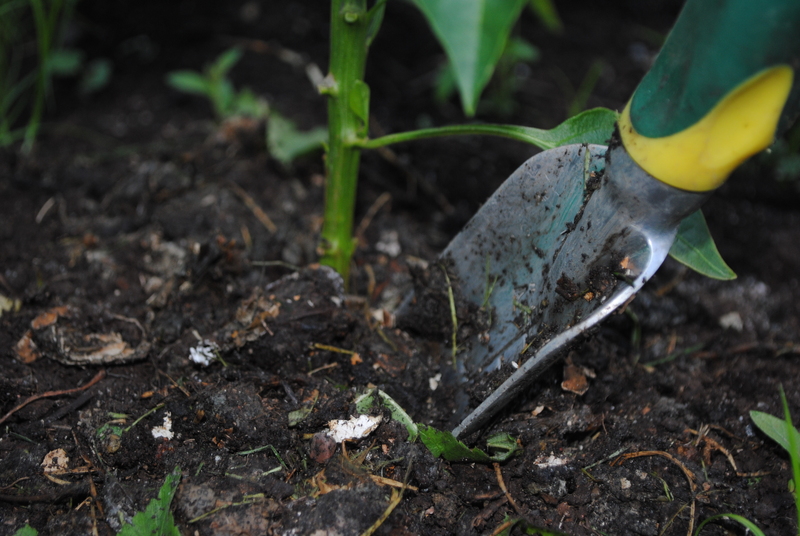 The compost then functions as a fertilizer, adding nutrient rich matter to the dirt around the plants. 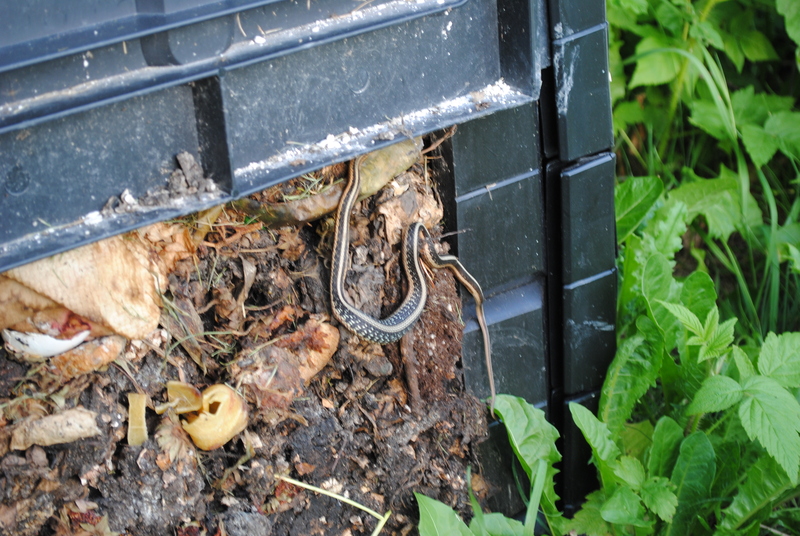 The compost also provides and retains moisture so the soil around the plants doesn’t dry out. Then, just last night I filled my bucket again with piles of stinky, succulent compost, but this time, rather than adding the compost beneath the soil I simply piled the compost around the base of the plants as mulch. This is an important technique as the growing season progresses because the top layer of soil can get quite dry and hard in the dog days of summer, but the compost helps retain moisture and keeps water from simply beading and running off the dry ground around the plant base. 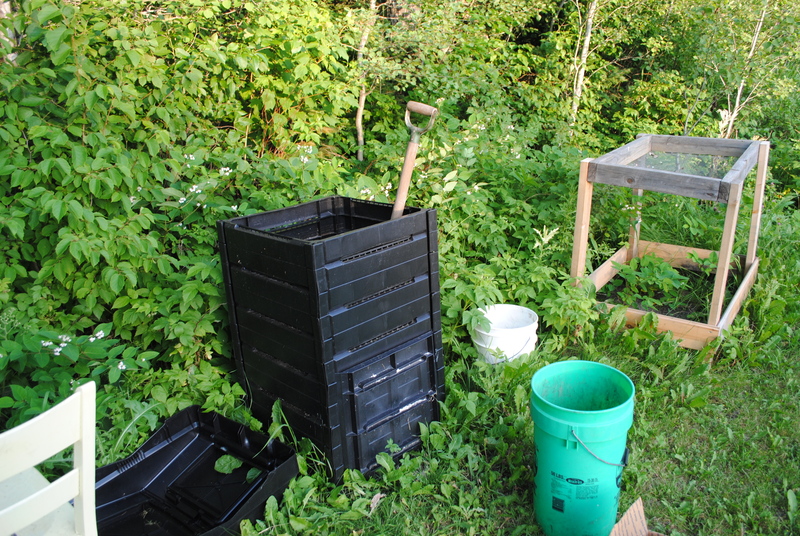 The compost also minimizes erosion around the plants and gradually releases nutrients into the soil like fertilizer. 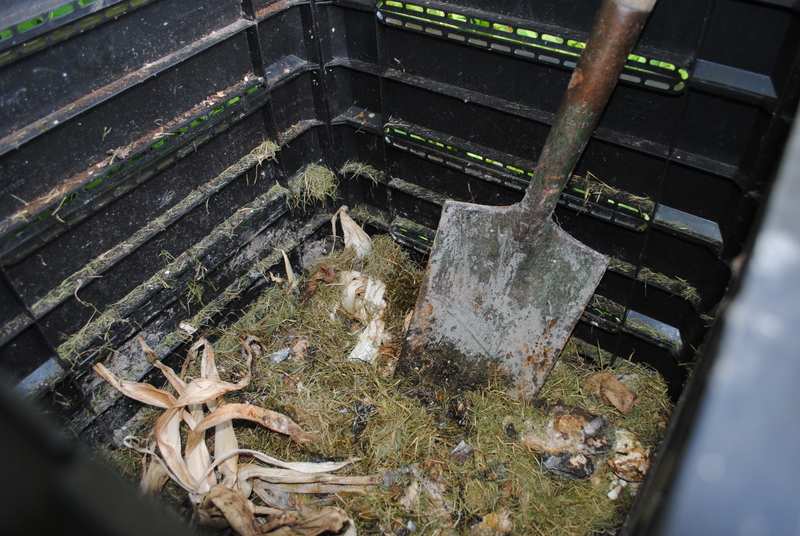 Compost is dirty. It sometimes stinks a little like poo. It is made out of rotten food. But it has somehow become one of my favorite things about gardening, and I’m tickled by the idea that my jalapenos and tomatoes are being fed by the scraps of things that once fed me. And will soon feed me again.